The ricochet of the Anti-aircraft gunshots tore apart the quiet night of Geidam when a resident, Falmata Shettima, was just rounding up the night prayer. Immediately, she ran into the courtyard in confusion. This turned into sporadic explosions. At first it sounded far, then it got closer and closer. Falmata gathered her family members, three daughter in-laws and seven grandkids; the youngest being a five months old. Falmata’s fast pace belied her 62-year-old frame, as she rushed her family through the back, behind the outhouse. As they ran, they were joined by hundreds of other people all running towards the bushes. The first sign of the ominousness for Falmata, was when she saw, among the escaping party, injured policemen and soldiers. It was the first time since the attack, that it occurred to her that her two sons were still out in the town. 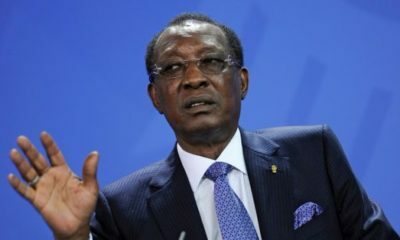 Falmata and the hundreds who fled into the bushes returned in the early hours of dawn when they were persuaded back into town after a reinforcement of soldiers came from Gashua and Damaturu. The attack became a personal tragedy for Falmata as her two sons were counted amongst the 17 dead people and her foster son amongst the 11 injured. Overnight, she lost two sons who were not only bread winners but were her source of comfort since her husband passed away. She was inconsolable, worse of were her daughter-in laws who overnight had become young widows. The entire town wore a mournful mien; they were all intertwined in the collective tragedy that had befallen them. Every corner of the town had people gathered in Fida’u prayer – the islamic prayer for the repose of the dead. In Falmata’s house, it was a mix of wailing from the young wives and muffled mournful cries by the older women. In town, the army took stock of their losses, including injured soldiers; three dead and several more unaccounted for in what the soldiers themselves referred to as “Missing In Action” (MIA). Local government officials took note of destroyed public buildings – schools, the police station, the military camp all had pockmarked signs of bullets, from small tiny ones to big ones, sizeable enough to fit in a baby. 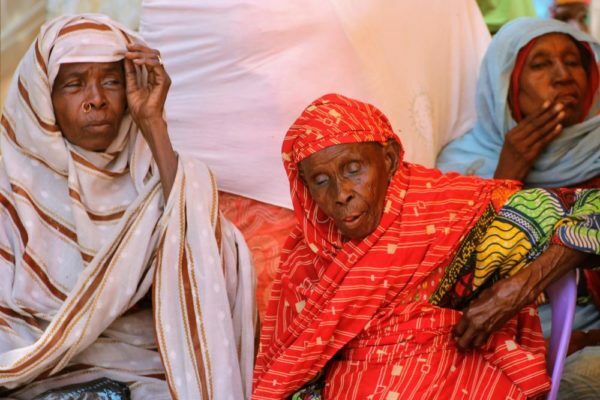 The death of her sons, like the death of more than 20,000 victims, has pushed Falmata Shettima and other survivors to the precipice of vulnerability in the North East. She joined millions of people unable to cultivate nor trade due to the activities of program. This made her rely on relations, who themselves were struggling to stay head above water. Her daughters-in-law left and went back to their parents’ house. As the insurgency begins to wane down, there have been less attacks on Geidam, since the 2015 attack that destroyed Falmata’s quaint life. Government agencies in Nigeria and international agencies working in Nigeria continue to try to stem the tide of hardship faced by resilient, but vulnerable people like Falmata. According to the data tracking matrix of the National Emergency Management Agency (NEMA) and the International Organization for Migration (IoM), IDP population in the North East has dropped considerably from 2.5 to 1.6 million people. Now that the war is being won, the Nigerian Army has to win the peace – a popular refrain amongst government circle. 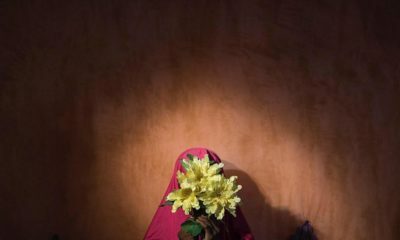 There is a need for a fund to support victims like Falmata. The Victims Support Fund, chaired by one of Nigeria’s most respected Generals, TY Danjuma is a 30 Billion Naira fund providing succour on a programmatic needs basis for victims of insurgent in the North East. Since it was set up in 2014, the Fund has reconstructed, scorched earth destroyed towns of Dikkwa and Bama in Borno State, reconstructing destroyed buildings in Michika in Adamawa State and Buni Yadi in Yobe State. It has also set up a foster care system to support 2,000 orphans, orphaned by the insurgency. Most importantly, it has instituted one of the best health financing models in Africa, where hospitals in the North East treat victims of insurgency for free, at selected hospitals in the region. Falmata was selected as one of 200 beneficiaries in a pilot livestock breeding project; where “each household received three (3) females and one (1) male and a cash sum of N20,000 (in a town where the inhabitants live on half a dollar a day or less) to enable them to provide initial feeding for the livestock and support their families as palliative measure. 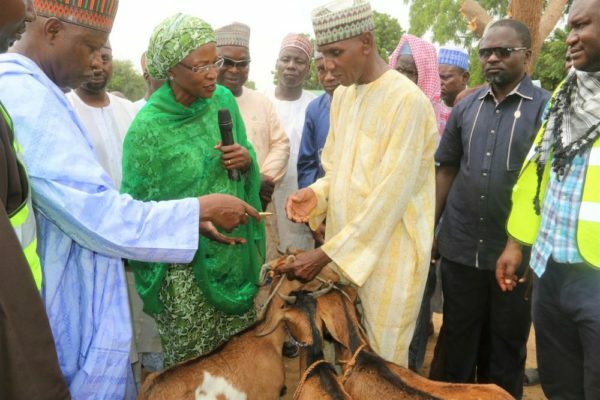 The Yobe State FADAMA III project will also provide routine veterinary services to the benefitting households for the period of one year. 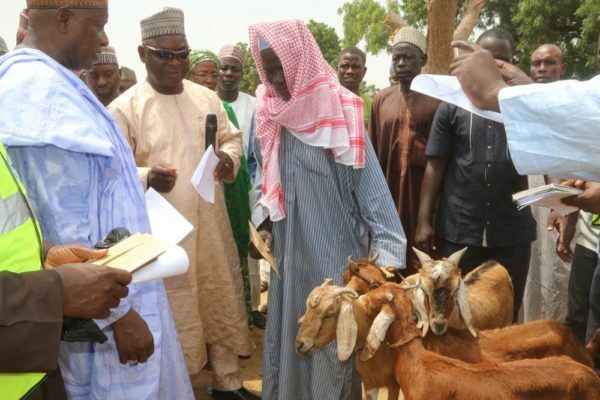 “This will not only guarantee the health of the livestock, but also ensure productivity. 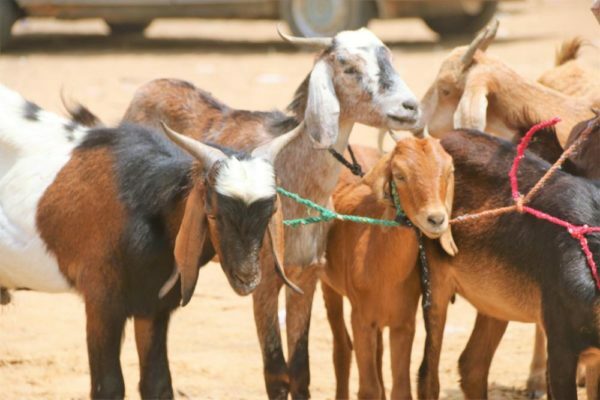 It is anticipated that within one year of implementation, each household would have recorded an increase of 12 goats as the breed is reputed for producing 2 kids every 6 months. And this endeavour will be replicated in other conflict-affected communities in Borno and Adamawa.” said the Yobe State Commissioner for Education, Muhammed Lamin, who represented the state governor, Ibrahim Gaidam, at the event thanked the VSF for bringing such a laudable poverty alleviation initiative to the victims of Boko Haram in his domain. At the launch, the Executive Director, Prof. Sunday Ochoche, said the move became imperative to secure a long-term food security and livelihood among vulnerable citizens across affected communities within the zone. He added, “The need to improve the lives of the victims of the insurgency is very important to us at VSF and you will recall that before now, VSF has been actively involved with the Yobe state government in restoring the lives of insurgency victims especially in livelihood. “You will also recall that our Agro support program was actually kicked off in Yobe state where 2000 household in Gulani and Gujba Local Government Areas were supported with Agricultural inputs and we are impressed with the quality of Agricultural production realized so far. On the 5th of January 2018 scores of people went missing with 9 soldiers killed when Boko Haram attacked Kannama near Geidam. 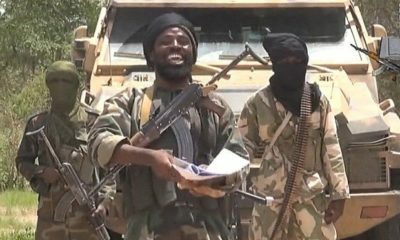 The likes of Falmata Shettima continue to live precarious lives in spite of the seeming degrading of Boko Haram.